Today we welcome paranormal romance author J.K. Beck, author of the Shadow Keepers series: When Blood Calls, When Pleasure Rules, and releasing on October 26th, When Wicked Craves. Can you start by telling us a little bit about the series? Absolutely! The series centers around an ancient paranormal judicial system that's been around since the dawn of time--its purpose is to investigate, apprehend and adjudicate shadow creatures that break the Covenant, a system of laws that's existed even before the days of Ur. And who are the shadow creatures? They're the beings that we humans think are only the stuff of nightmares--vampires, werewolves, succubi, daemons, and the like. They're out there, and it's the Preternatural Enforcement Coalition that keeps them in check. The various divisions of the PEC around the globe have been located in different places at different times. In the United States, at this time in history, the PEC is hidden within Homeland Security. A secret division, the real purpose of which is known only to a few select humans. I know you've just done three back to back releases, but are you planning on writing any more in the series? And tying into the first question, how many books are you contracted to write under Bantam? Absolutely! I'd love to write this series for a long time. I'm currently working on the fourth book, WHEN PASSION LIES. I'm currently contracted for three more books (6 total, so far) and I'm also working on an e-novella that will be released during the gap between book 3 and book 4! I've always wanted to be a writer, so I guess my personality inspired me. What finally inspired me to get serious about it, though? I really don't know. A need for a creative outlet, I think. I reached the point where I just HAD to write. And the point where I wanted to see my work in print and try to make a career of sharing the stories in my head. I've heard the average is five years to get published. How long did it take you to go from deciding to write to getting published? From the time I actually tried to sit down and really write a novel for publication (i.e., not counting the lifetime of scribbling), two years. I started in 1997, didn't sell my first book, and sold my second manuscript in 1999. What is your favorite part about writing? The least favorite? Favorite: The freedom to create and the fans. I love getting emails from folks letting me know they enjoyed the books or the characters. Least Favorite: Not having enough time to write all the stories I want to write! When you're not writing, what else would we catch you doing? I noticed you've also penned several books under the name Julie Kenner. What kind of books do you write under that name? Generally more quirky stuff. 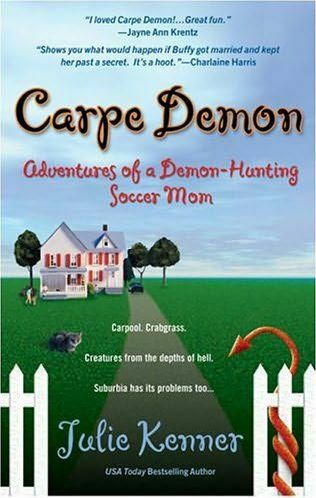 Romances for Harlequin, and also urban fantasy -- I have a series featuring a demon hunting soccer mom (the first is CARPE DEMON) that I have a lot of fun with (it's in development with 1492 Pictures...fingers crossed!) and last year I released a darker urban fantasy trilogy, the Blood Lily Chronicles (TAINTED, TORN & TURNED). I also have a fun series of chicklit romantic suspense that was released in trade, but I believe it's now available digitally, THE GIVENCHY CODE, THE MANOLO MATRIX, and THE PRADA PARADOX. J.K., I would like to thank you so much for taking the time to talk with us today, and good luck with the new releases. As I stated earlier, the third book comes out a week from today in the Shadow Keepers series. And now to the good stuff. J.K. is giving away a $15 Amazon gift card to one lucky person who leaves a comment by Sunday, October 24th. Good luck! Annette and I recently reviewed J.K.'s first book, When Blood Calls, for our September Roundtable Discussion Pick. The link to it is http://www.romfanreviews.com/2010/09/roundtable-discussion-when-blood-calls.html. 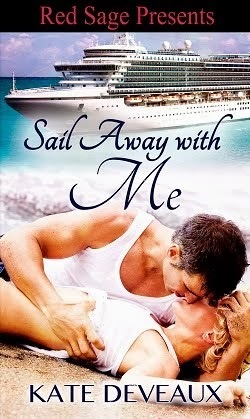 I have read several of the Julie Kenner books, but haven't had the pleasure of reading Beck. I am adding this series to my To Buy list. Thank you for your wonderful world that you have created. Great interview. Thanks for sharing!! I loved the first two books and your demon hunter series. Cant wait to get my hands on Nick's story. 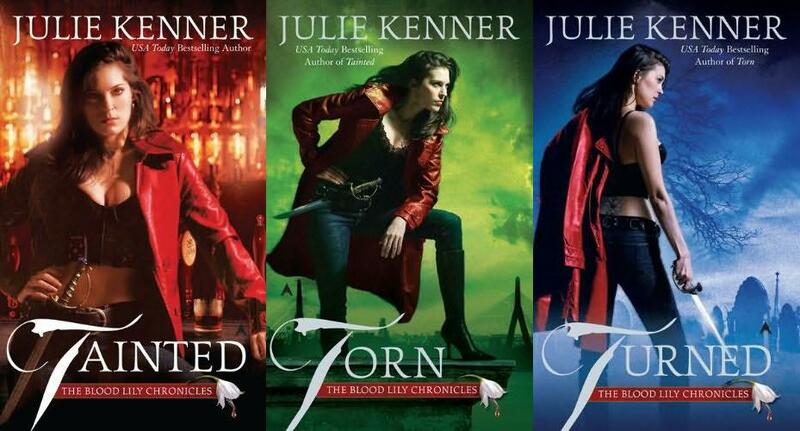 I've enjoyed the Julie Kenner books and I'm looking forward to getting started on the new JK Beck series. The Shadow Keepers books sound fantastic. i haven't got my chance to read on of her books :( i'm sooo want to read one of them. Hi! 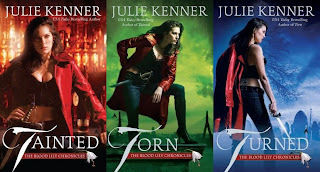 I love your Julie Kenner books (Demon-Hunting Soccer Mom series, Codebreaker Trilogy, Superhero Central, "Nobody But You" and "The Spy Who Loves Me"). I haven't read your J.K. Beck books yet but I'm looking forward to them. Fabulous interview and I recently started the series and am loving it so far!